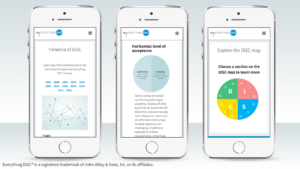 The Everything DiSC Workplace® Assessment is the most effective and most reliable tool on the market to help you understand preferences and styles – both in ourselves and in others. The knowledge gained by this simple assessment has been used by hundreds of thousands of people to drive better teamwork, collaboration, and productivity. 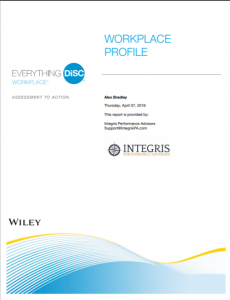 Want a quick introduction to Everything DiSC Workplace? Watch the video. What makes Everything DiSC stand apart from the crowd? 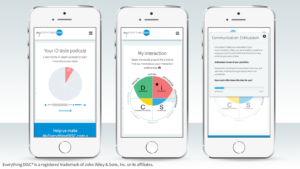 Take the 15-minute online assessment with dynamically generated questions that measure your DiSC® personality style and preferences. 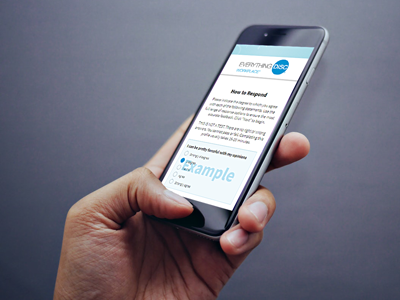 After completing the Everything DiSC online assessment, learners receive a 20-page report that provides actionable strategies for building more effective relationships. Includes access to MyEverythingDiSC.com, the interactive, mobile-friendly learning center. Keep the learning alive beyond the classroom and get exclusive content to help you learn more about your own DiSC® style. 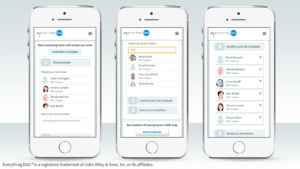 Learners can easily share their Profile results to create individual and group Comparison Reports. If your organization is ready to embrace Everything DiSC, Integris is here to help with the following Facilitation and Implementation Support services. Individuals grow by becoming more self-aware, and by more fully understanding others. 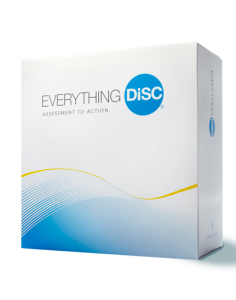 Using the results of any of the Everything DiSC assessments, our expert coaches can help your employees gain new and powerful insights about why they (and others) do what they do, and develop more effective strategies for successfully interacting with their co-workers. Are you looking for a dynamic and impactful speaker for your next retreat or keynote presentation? We’ll work with you to fully understand your goals for the event and craft an agenda that will leave your team wanting more! If you are looking for ways to increase the effectiveness of the relationships in your workplace, we can help. With over 30 years of experience, our team of experts becomes strategic partners to help you develop lasting leadership development or culture change programs.